With the two German military disasters on the eastern front, one in front of Moscow in the winter of 1941/42 and the other on the lower Volga River at Stalingrad in the late summer and winter of 1942/43, the loss of manpower in these two catastrophic defeats was far above the anticipated loss rates in the planning for Barbarossa. What goes unnoticed in the field reports and the examination of the battles of the first four months of the German invasion of Russia in the summer of 1941 was the level of exhaustion for both men and machine. As one German officer commented in August that ” . . . we were victoring ourselves to death!” The inability to bring the Red Army to the final battle, as it retreated deeper across the Ukraine and Byelorussia, Russia’s borderlands, and into Russia’s seemingly endless interior was worrisome to the German high command. The short war, one of kurs und vives, of short and lively campaigns, of quick and decisive movement, popularly known as the Blitzkrieg, was developing into the war they feared and could not win, one of material and human attrition. The need for more men was critical. The foundational problem in identifying and establishing additional fighting units was primarily political. By late 1942, the Luftwaffe did have men whose positions had become superfluous or obsolete, primarily in the bomber squadrons or Kampf Geschwader. It was these men that were identified as potential manpower sources for the army or, in German, der Heer. However, just because they could pull a trigger, did not automatically mean they could soon be fighting infantry. Herman Goering, always in competition with other heads of the Third Reich, namely, the Army, Navy and especially Himmler and his growing SS organizations. Seeking to keep his share of the Nazi empire, he insisted that he could form his non-essential men into a field fighting force, soon to be named the Luftwaffe Feld Division. The problem with drafting men from the largely technical Luftwaffe into the fighting Army infantry was assuming that the round peg would easily fit into the square hole. The Luftwaffe was largely composed of technicians; radio, radar and electronics specialists, pilots, high altitude weapons specialists, engine technicians, metal crafters and the like. With the exception of the pilots, the bulk of the Luftwaffe organization never came into direct contact with the enemy. Even their most forward airfields were far more comfortable and structured than the most of the dirty, lice-ridden trenches and bunkers of the front line infantry. Furthermore, the insistence of maintaining that these men remain within the fold of the Luftwaffe deprived it of the vast body of experienced combat infantryman they could learn to not only fight effectively but simply stay alive in the harsh conditions of the Eastern Front. Despite the obvious need to train these 200,000+ men by the organization who could put them to best use, the army, the transition from the Luftwaffe to the army was badly mishandled. 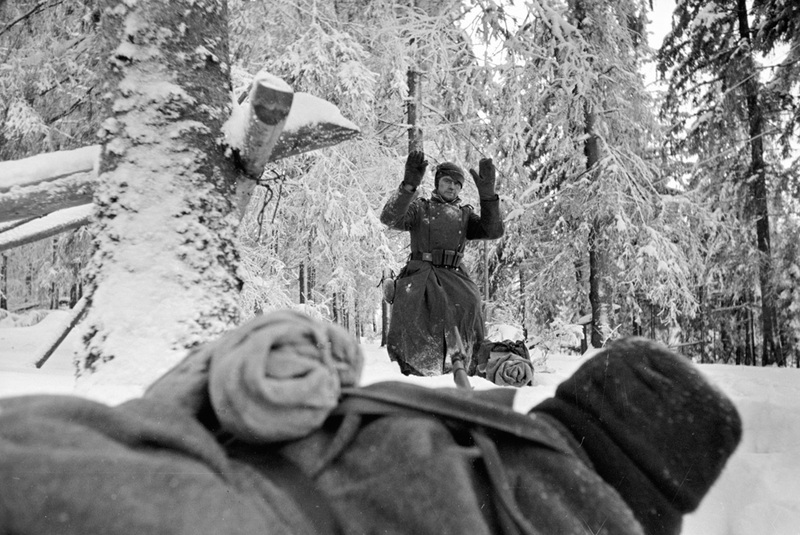 By the early months of 1943, the continuous series of crises on the eastern front meant that the necessary training required for these men was cut short and in some cases, eliminated altogether. The initial plan was to insert the Luftwaffe Feld Divisions into quiet sectors of the front line, preferably alongside veteran army infantry divisions to share combat duties of scouting and the many vital routines of the front line environment. The actual result was quite different. The new Luftwaffe units were used to displace the army infantry divisions, who were sent to the crises points of the front, most notably in the far south, in and around Stalingrad in late 1942 and all during 1943 with the great retreats there. Additional difficulties continued to dog the new and inexperienced Luftwaffe Feld Divisions. The rapidly growing and experienced front line units of the Red Army soon learned to identify the new “kids on the block” by their slow or inappropriate responses to Red Army probing attacks and later full scale operations. It also did not help that the Luftwaffe Feld Divisions kept their sky blue uniforms rather than the feldgrau of the army, making identification of them that much easier. Their performance in combat reflected their lack of combat training and experience. Easily identified by the Red Army, the portion of the front line held by the Luftwaffe Feld Divisions became the focal points of the full weight of Russian attacks and the results were disastrous. The reaction by the Luftwaffe Feld Divisions to the heavily use of artillery by the Red Army, along with their frequent use of rocket artillery frequently cause the German units to break and run, almost always leaving behind their valuable and also frequently irreplaceable weapons, especially the light and heavy FLAK (anti-aircraft artillery). 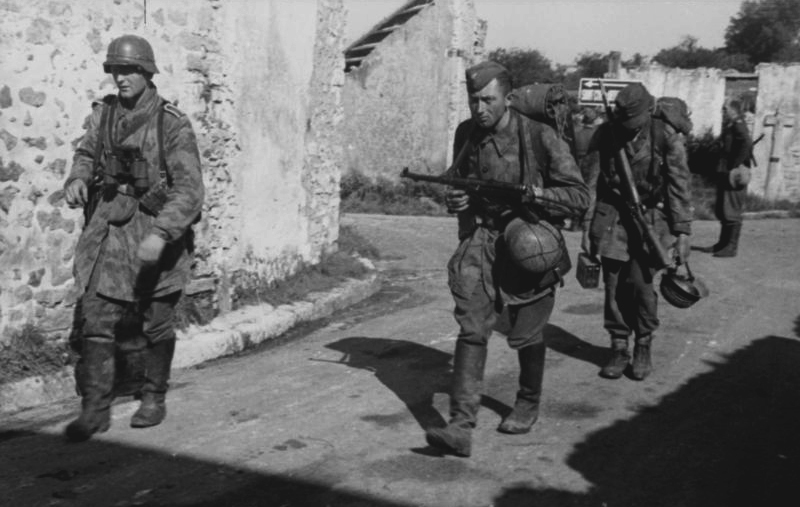 By the middle of 1944 the formation of the Luftwaffe Feld Divisions reach some twenty-one divisions, although their equipment, manpower and field expertise never reached that of standard army infantry divisions, and far less than the Waffen SS divisions. By the end of the war in May 1945, there were only three divisions in existence and only one of these was at full strength, the one located in Norway. The story of the Luftwaffe Feld Divisions was but one example of the German mismanagement of its scarce resources in the execution of its war effort. The intervention of political elements diverted one of the last remaining high quality bodies of manpower in the Third Reich and squandered it. The talent and training of these highly skilled men could have been better used if they had been left in place with their parent Luftwaffe units or transferred within the Luftwaffe to units that could have better used their talents. The increased efficiency of these units might have tipped the balance in the fight with the U.S. Army Air Forces and the Royal Air Force in their fight to destroy the German transportation, fuel and armaments industries. New Book Released! Third in my series of WWII books!